A staggering 160,000 plastic bags are used globally every second, most of which end up in landfill, on our streets or in our oceans where they are responsible for an increasing number of marine deaths. There are many non plastic reusable alternatives that have very little negative impact on the planet that are more convenient and also look great. Our everyday lives are littered with throwaway items, plastic cutlery, straws, receipts, plastic bags, excessive packaging – the list is endless. An easy way to help the environment is to simply refuse these items! Do you really need 3 straws with your drink? Is that receipt going straight in the bin as soon as you walk out the shop? Do you really need to buy that plastic covered broccoli when there is the exact same product next to it without any plastic at all? These are small changes but they can have a huge impact in the long term. Over the course of a year the amount of plastic that you could have refused is huge! Globally half a trillion disposable cups are produced every year with only a tiny percentage being recycled. Half a trillion!!!! Its an eye watering amount of cups that end up in the ground or in the oceans. 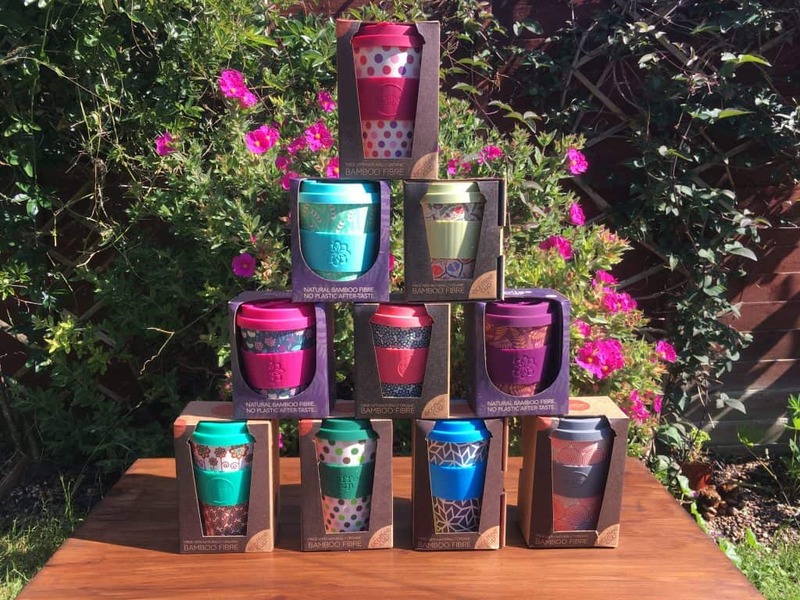 Reusable coffee cups not only help reduce your waste footprint but they are more comfortable to carry and they also look great. Nearly all coffee shops will allow you to use your own cup and if they don’t, let your money do the talking and go somewhere else! Most companies also offer a discount on your cuppa if you bring your own cup which means your cup will actually start saving you money after a while. Check out our brilliant Ecoffee Cups to start making a difference. Two thirds of all UK car journeys are under 5 miles. How many of these could have been avoided by walking or biking? Understandably there are times when you need to take the car but there are times when leaving the car at home can not only be better for Planet Earth but also quicker, cheaper and also better for your health. Bottled water can cost up to 500 times more than tap water yet in the UK we buy 7.7 billion single-use plastic water bottles every year! Only a small percentage are recycled and it is thought that half of all the plastic pollution in the Thames River is caused by plastic bottles. Buying a reusable water bottle is cheap and can save you a huge amount of money over time. It is also safer than drinking out of plastic bottles and is becoming increasingly easy to refill your bottles in shops, cafes and in towns and cities across the UK. There are many other ways you can make a difference but these are 5 simple steps to get you started. What simple steps do you take to lower your impact on the environment in your everyday lives? Share your tips in the comments below.